Jigs and fixtures are a mainstay of manufacturing and make production and assembly processes simpler and more reliable, reducing cycle times and improving worker safety. Compared to conventional machining, 3D-printed jigs and fixtures take less time and cost a fraction to produce. 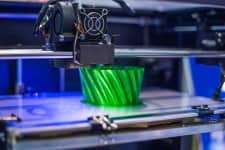 Additive manufacturing has reached industrial-grade quality – but how can companies start meaningfully using it for engineering and production? 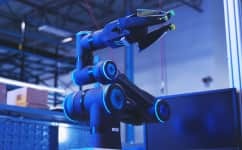 When Bastian Solutions set out to make an innovative new materials handling robot, they knew that they wanted to use additive manufacturing for the final build. Now, nearly half of the Bill of Materials (BOM) is made using 3D printing. 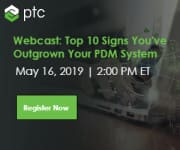 Strong product data management (PDM) capabilities are proven to drive better business performance. However, manufacturers can’t achieve this with basic PDM.